The senior lawmakers say the legally-binding withdrawal agreement that would govern Britain’s departure cannot be renegotiated, especially the safeguard mechanism to keep the Irish border open. The European Commission is starting legal action against Britain over tax breaks it grants to commodities traders, barely two months ahead of the UK’s planned departure from the European Union. The Financial Times wrote that the Commission would take Britain to the EU’s highest court over the tax breaks, potentially damaging competitiveness of the City of London, Britain’s financial center, after Brexit. There were fears that the move would acerbate already fraught relations between both sides over Britain’s departure, which is still scheduled for March 29. In starting legal proceedings, Thyssen said, the Commission could not take such issues into account. “We don’t make a difference between one member state and another,” she said. The House of Lords may have found a silver lining in the possibility of Britain crashing out of the European Union in a “no-deal” Brexit — the prospect of less expensive alcohol. It came up Thursday in tongue-in-cheek fashion in Parliament’s upper chamber when former Cabinet minister Norman Tebbit said that the head of the popular Wetherspoon pub chain has stopped buying brandy from France in favor of “better and cheaper” brandy from Australia. 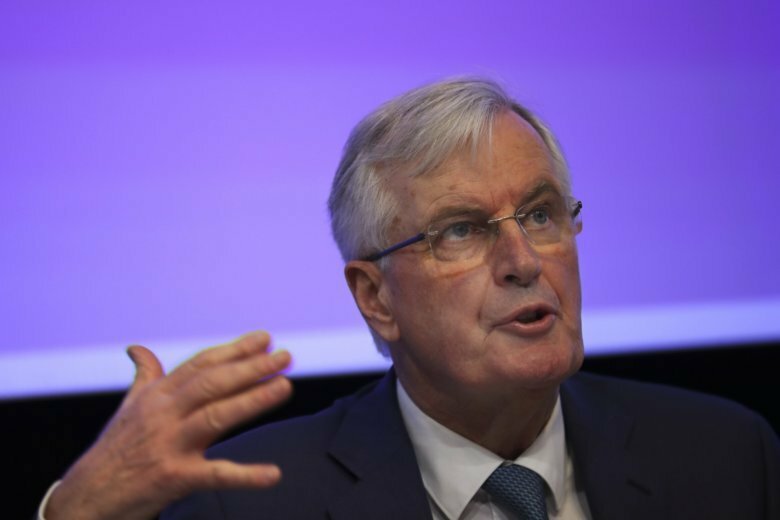 The European Union’s chief Brexit negotiator, Michel Barnier, is rejecting the possibility of putting a time limit on the “backstop” option for the Irish border, saying it would defeat the purpose.